Palaver International Literary Festival in Wasaga Beach, Ontario! 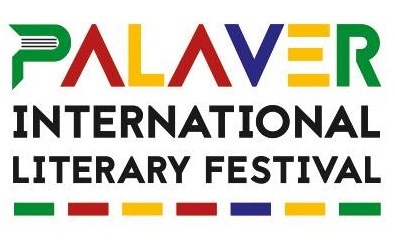 Posted: August 6, 2016 | Author: Zócalo Poets | Filed under: English, IMAGES |Comments Off on Palaver International Literary Festival in Wasaga Beach, Ontario! Founded by writer and journalist Michael S. L. Jarrett – and now in its second year – Palaver International Literary Festival brings Caribbean literature, music and good food to Wasaga Beach, Ontario. An “open mic.” stage for poetry and song, as well as Ol’ Time Stories told throughout the day. This evening (Saturday the 6th) there is the Palaver Awards Dinner (“A Birthday Toast to Jamaica”) featuring The Heritage Singers and Orville Hammond, jazz pianist. On Sunday the 7th: “open mic.” for poetry and song again; “Feast on the Beach”: brunch with master-chef Selwyn Richards; the Palaver Writers’ Workshop with Horane Smith; and poets and novelists will meet and greet with festival attendees –– and sign books :-) Writers in attendance at Palaver 2016 include: Owen ‘Blakka’ Ellis, Dwayne Morgan, Owen Everard James, Cynthia Reyes, and Lorna Goodison. to walk all night under a changing moon. fingertips settling in the poem’s room.